Explain how to create, delete, and customize fields and page layouts on standard and custom objects, and know the implications of deleting fields. Apply the appropriate security controls based on the features and capabilities of the Salesforce sharing model. Use folders to organize and secure communication templates, dashboards, reports, and documents. Hey Trailblazer, if you hold the Salesforce Certified Administrator credential, keep in mind that you need to complete this module by December 14, 2018, to maintain your certification. Check out the deadlines here. Interested in learning more about getting certified? Check out the Salesforce Certified Administrator credential. Salesforce introduced a ton of great feature enhancements. Let’s take a look at some of the more important ones for the Summer ’18 release, starting with what’s new for sales and analytics. Path is now available on Contacts. Path allows you to define the stages that are important for building stronger relationships with your organization’s contacts. It also helps to increase sales representatives’ success with guidance (such as tips, links, and company policy information) that offers assistance at each stage of the sales process. You can set up one path for each available record type. Steps for each path are based on values in the picklist you select when you set up the path. You can customize the order of values in the picklist to reorder the steps in the path. Each step in a path can include a maximum of five key fields and 1,000 characters of rich text. 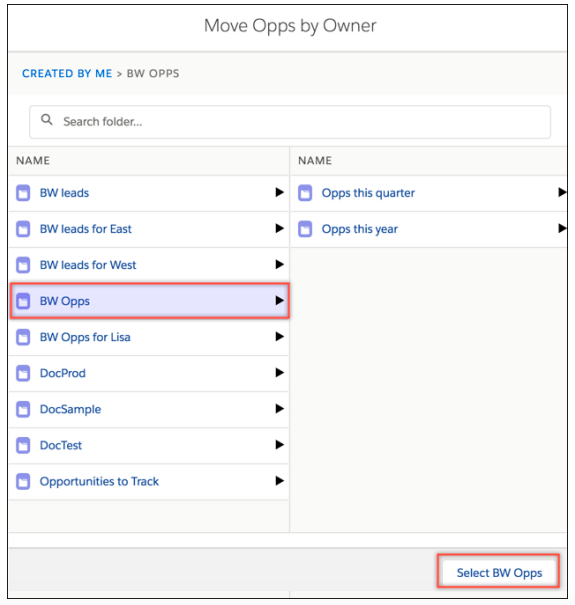 To enable Path and set up new paths, from Setup, enter Path Settings in the Quick Find box. Click Enable, then check Remember User's Path Preferences to let users decide whether the path remembers its previous state or is always closed when the page loads. Here are a few other considerations when setting up paths. You can’t require different fields in different steps using the page layout. You can, however, set up validation rules based on the path step. Dependent fields are ignored when moving an opportunity stage using Path. Although not a limitation, keep in mind that deleting a record type that has a corresponding path also deletes the path. Validation rules appear as page-level messages, even if you configure the rules to appear near the fields. Images can’t be included in packages for Path. Custom values in standard picklist fields aren’t packageable. Track time with the new and improved Time field type. The Time field type is a timestamp without the date. This field tracks time that is not specific to a single date, such as preferred contact hours. Use this field type for time management, event planning, and project management, as well as for tracking things such as business operating hours. For example, you can display a hotel’s available check-in and check-out times. You can also use the Time data type in formulas and for validation rules. The Time field type was beta tested in the Spring ’18 release. Here’s how it’s been improved since then. To use this feature, simply select the Time field type when you create a custom field. For more customization, use the Time data type in formulas and validation rules. There are a number of new features in the Summer ’18 release related to leads. Several improvements streamline the lead conversion process and let you better control who can merge and delete leads. For businesses that use Contacts to Multiple Accounts, sales reps can now convert a lead to a contact and associate it with an existing account. Salesforce correctly associates the new contact with the account. The new contact appears in the Contacts related list on the account, and the account appears in the Related Accounts list on the contact. You can now quickly expand the Opportunity section of the lead conversion window so sales reps can convert opportunities faster. If you have set the Opportunity section of the lead conversion window to be collapsed by default, you can now expand it simply by clicking the opportunity name. Previously, setting your organization-wide default for leads to Public Read/Write/Transfer also allowed users to merge and delete leads. This option no longer allows merge and delete. Instead, the new Org-Wide Merge and Delete setting lets users merge and delete leads when the organization-wide default is set to Public Read/Write/Transfer. This new setting is “on” by default for existing orgs and “off” by default for new orgs. You can now use subfolders to quickly create a logical structure for your report and dashboard folders. Organize by region, role, or function, or whatever makes the most sense to you. For example, suppose you’re responsible for creating reports for your customer service organization. You already have a Sales Reports folder that you’re sharing with sales, so the sales reps can see what issues have come up. But the sales representatives in each region only want to see the reports from customers in their own region. Simply create a subfolder for each region in the sales folder, and the sales representatives in each region see only what interests them. You can also rename and delete subfolders. Just keep in mind that all folders must be emptied before they’re deleted. If you want to delete a parent folder, you must delete all of its subfolders first. Moving content between folders is also easier. You no longer have to open the report or dashboard just to change what folder or subfolder it’s in. Instead, simply select a row-level action for the report or dashboard. And if you have a report or dashboard in one folder, but want it to be in another, just select Move from the row-level action menu on the Reports or Dashboards page. A select folder dialog box opens where you can navigate to the destination folder and save. Here are few things to keep in mind when you’re working with reports and dashboards. Everyone can see who has access to a subfolder. If you want to change sharing settings, you must do that at the root level.